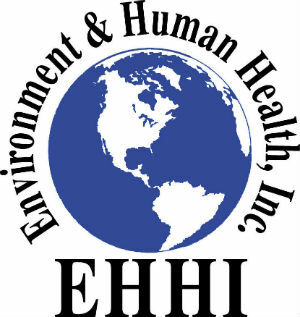 NORTH HAVEN, Conn., November 7, 2017 (PRESS RELEASE JET) – Environment and Human Health, Inc. (EHHI) is releasing its new report Synthetic Turf: Industry’s Claims Versus the Science (http://www.ehhi.org). Shredded waste tires have been sold as crumb rubber infill for synthetic turf fields and as rubber mulch to surface our youngest children’s playgrounds before testing was done to see if the material was safe for these uses. Industry continues to claim that there are studies that prove the synthetic turf fields and rubber mulch playgrounds are safe. If no one actually reads and analyzes these studies, then there is no one to dispute these claims. Environment and Human Health, Inc. (EHHI) has spent the past year carefully reading these studies and summarizing their findings in an easily accessible report for all to read and understand. Many of the studies that the synthetic turf industry has cited claim the synthetic turf fields are safe, actually show numerous heavy metals, chemicals, and carcinogens in the samples tested. Although industry admits that many studies find numerous toxic compounds, they claim that the levels are too low to be dangerous to human health. Yet the National Institute of Environmental Health Sciences (NIEHS) reports that even when there is low-level exposure to an individual chemical that might not cause cancer, when many low-level chemicals act together they can indeed cause cancer. This important finding emerged from an international task force of more than 170 cancer scientists, known as the Halifax Project, who collaboratively assessed the carcinogenic potential of low-dose exposures to chemical mixtures in the environment. Lead was found in every study that looked for it. One study found lead in one field to be 500 to 1,000 times the lead concentration of the other fields tested. This shows how variable the samples of crumb rubber can be, and why one study sample cannot be assumed to be the norm for all samples or for all fields. Benzothiazole (BZT), an eye, skin and respiratory irritant, was found to be emitted in nearly all the air samples tested and was also found leaching from crumb rubber samples. Because of the variability of the fields, one study called for the testing of every artificial field to measure its risk to players, especially children. Many cautioned that more research was needed before any conclusions could be made about the safety or harmful effects of crumb rubber or artificial turf. EHHI found the studies did not examine the important issue of the synergy of being exposed to many chemicals at the same time, and what this could mean for the health of those who play on those fields. Nor did they find them to measure the health impacts to children with asthma or allergies when they play either on artificial turf fields or playgrounds surfaced with waste tire rubber mulch. Additionally, the studies did not consider additional exposures that happen when crumb rubber pellets migrate from the fields into cars, schoolrooms and homes. Crumb rubber pellets are carried off the field in players’ socks, shoes, hair and ears. The one indoor field that was tested found high levels of toxins in the air above the field—yet this indoor field was only tested for 25 minutes. That study recommended that indoor fields need additional testing and that all indoor artificial turf fields need to be adequately ventilated in order to protect human health. Despite industry’s claims that synthetic turf fields with crumb rubber are safe, many towns and schools have become skeptical of these claims. Because of this skepticism, many are opting for alternative infills, even though most of the alternative infills are more expensive and none have had independent testing. Environment and Human Health, Inc. maintains that there is no safer surface for athletic play than natural grass. If towns and schools would take half of the money they put into synthetic turf fields and invest instead in state-of-the-art natural grass fields, our children, athletes and our planet would be healthier. Source: ​Environment and Human Health, Inc.